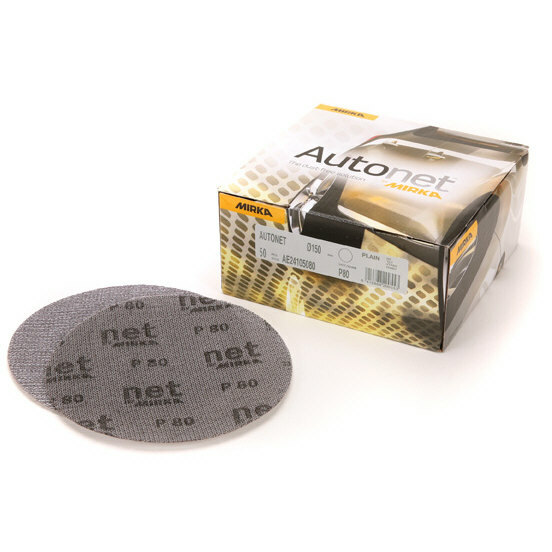 Autonet Mirka Velcro Mesh Sanding Discs 5" 125mm. Autonet is specially developed to satisfy the unique demands of the automotive refinishing indsutry. The patented construction consists of a dense network of polyamide fabric threads onto which the abrasive grit is bonded. This new-age surface finishing solution offers speed, excellent efficiency and an amazing dust extraction ability. The jobs get done quicker and with a better surface quality.